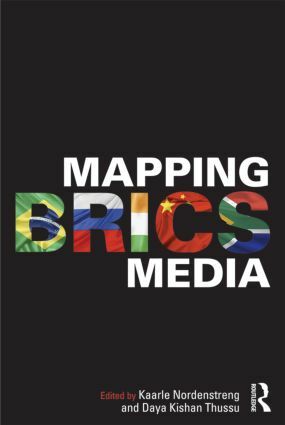 Mapping BRICS Media is the first comprehensive and comparative study of the emerging media landscape in the world’s most dynamic and fastest growing markets. This pioneering collection focuses on one of the key topics in contemporary international relations - the emergence of BRICS (Brazil, Russia, India, China and South Africa) - a grouping that includes some of the world’s largest populations and fastest growing economies. The volume brings together leading scholars, mainly from the BRICS nations, to examine how the emergence of the BRICS media will impact on global media and communication. Contextualizing the rise of the BRICS nations within the broader shifts in global power relations, the chapters investigate the unprecedented growth of the BRICS media within a ‘multi-polar’ world, evaluating the media landscapes in the individual BRICS countries, their histories, and their journalism practices, as well as analyzing emerging inter-BRICS media relationships. Accessible and comprehensive, the book provides a critical guide to the complex debates about the impact of the ‘rise of the rest’ on the media globe and how far this poses a challenge to the Western-dominated world order and its media systems.